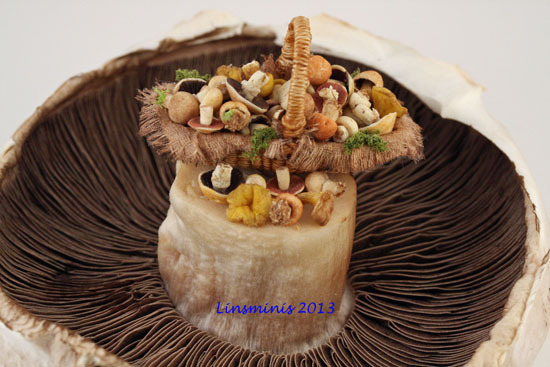 linsminiartform: No magic mushrooms in here! 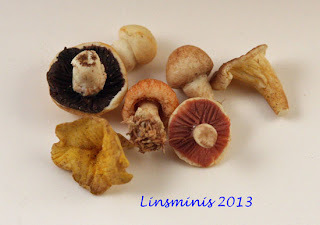 Well those may not be the tripping sort of mushrooms but they sure are MAGIC! I opened the photos in a new window and they look so real no one would ever know they were miniature if you didn't tell them so. Beautiful work Linda. I just love them. Come on SPRING!!! I am ready too. Spring is near... only must wait a little more!!! That mushrooms looks delicious... and so real as the "real" one! Are fab! I can only imagine how time consuming this basket of mushrooms was to make but so worth the effort. They are fabulous. Love the little basket they are in too.